How do you feel about doing some heritage work in Queensland, perhaps on the Great Barrier Reef? How could any heritage consultant say no to that? With bags packed with work boots, cameras, Nodal Ninjas, bathers and sunscreen, the Terra Rosa team of Scott and Anne headed for Queensland to spend a week examining the cultural health of the Mackay-Whitsundays region. 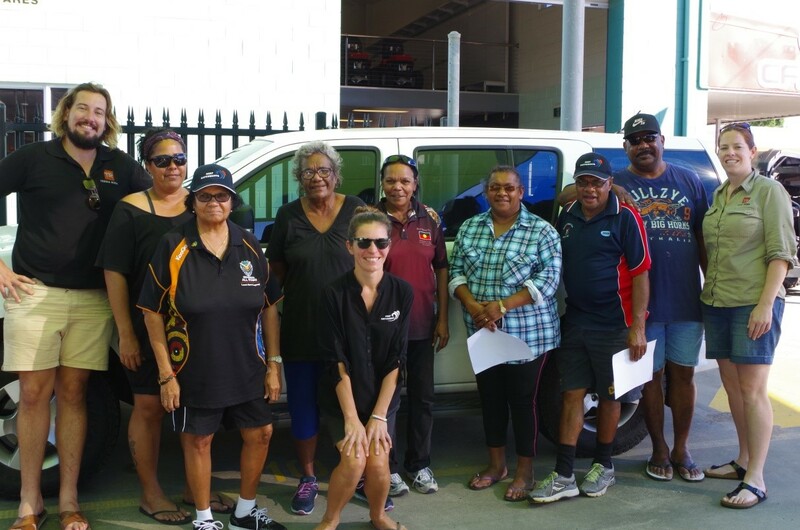 We were warmly welcomed in Mackay by seven representatives of the Gia, Ngaro, Juru, Yuwibara, Koinmerburra and Barada/Wiri Traditional Owner Reference Group (TORG): Aunty Carol, Aunty Sue, Uncle George, Adrena, Samarla, Sammy and Veronica, and by Stef from Reef Catchments. As we headed north from Mackay towards St. Helen’s on day one of our fieldwork, there were definite feelings of excitement and anticipation for what the week might hold. The fieldwork and project is part of the Mackay-Whitsunday Rivers to Reef Partnership which supports the development of an annual Mackay-Whitsunday waterway health report card, of which cultural health is a key factor. 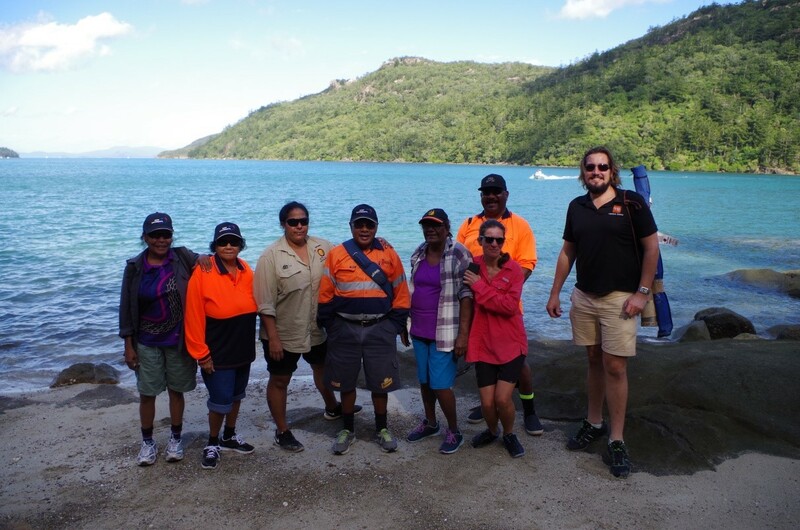 Our goals for the week were to collect baseline cultural heritage data to set up an annual monitoring program and to build broader awareness of the region’s cultural heritage resources amongst the Mackay-Whitsunday community. We collected both ethnographic and archaeological data by visiting key heritage sites in the region and using innovative Nodal Ninja technology to create an interactive online record of the sites and areas of interest. Throughout the week, we visited many heritage sites across the countries of the TORG representatives. It has been some time since the Traditional Owners had visited certain areas and sites in their respective countries, and our fieldwork led to many happy and emotional reconnections. 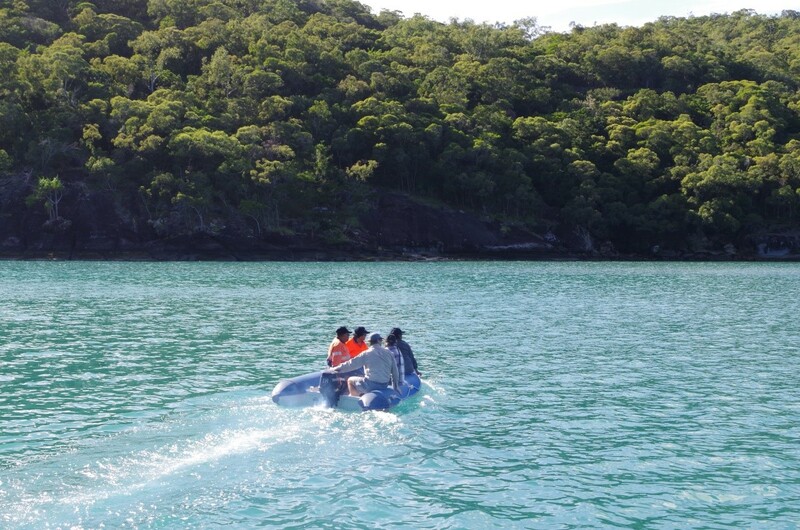 An extraordinary highlight of the week was our visit to the islands; it’s certainly a unique experience to go to work on the Whitsundays Islands by boat. The day provided many joyous and memorable moments, with many heritage sites of interest being recorded. 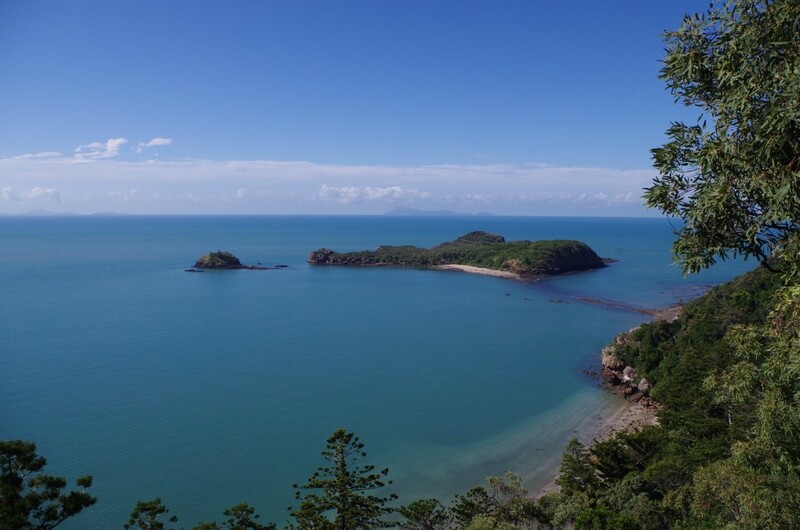 We also visited numerous other beautiful and culturally significant places between Airlie Beach and Mackay, including sites at Hook Island, Cape Hillsborough, Finalyson Point and Haliday Bay. Of course, no trip to coastal Queensland is complete without becoming very familiar with the local sand-flies and mosquitos. Thank goodness for the secret remedy provided for us by the Traditional Owners; it made more a much more enjoyable chats while cooking evening BBQs. 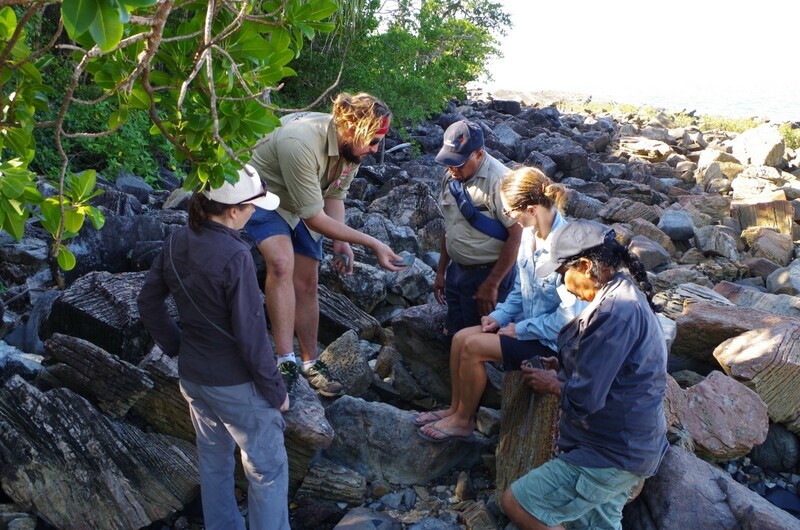 The research completed during this week was the first crucial step in developing indicators for the heritage health for the Mackay-Whitsunday Rivers to Reef Partnership, and Terra Rosa is very excited to be part of this ongoing innovative. Scott, Anne and the team at Terra Rosa would like to thank the following people for their participation and enthusiasm in this project (and for providing the magic sand-fly remedy! ): Aunty Carol Prior, Aunty Sue West and Adrena Pryor (Ngaro, Gia & Juru Traditional Owners), Uncle George Tonga and Veronica Ah-Wang (Yuwibara Traditional Owners), Sammy Dallachy (Barada/Wiri Traditional Owner), Samarla Deshong (Koinmerburra Tradtional Owner), Stefaine Wabnik (Reef Catchments) and Emma Carlos (Healthy Rivers to Reef Partnership).